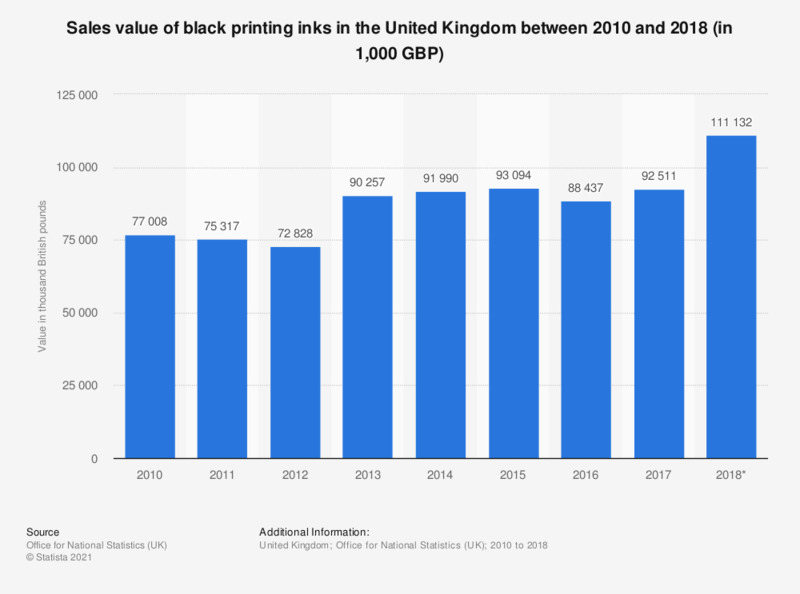 This statistic shows the sales value of black printing inks based on PRODCOM estimates** in the United Kingdom (UK) between 2010 and 2017. The UK experienced an overall increase in sales value over this period. In 2017, the sales value reached 92.5 million British pounds.